Regardless of your standard of driving, we have a selection of nine courses of different lengths for you to choose from. All our vehicles are dual controlled for your safety and you will have your own experienced and fully qualified driving instructor who is approved by the Driver and Vehicle Standards Agency and will teach you on a 1 to 1 basis for the duration of your course. With extensive experience teaching from complete beginner to advanced standard you will find all our instructors patient, friendly and devoted to road safety and your survival in present day road and traffic conditions. 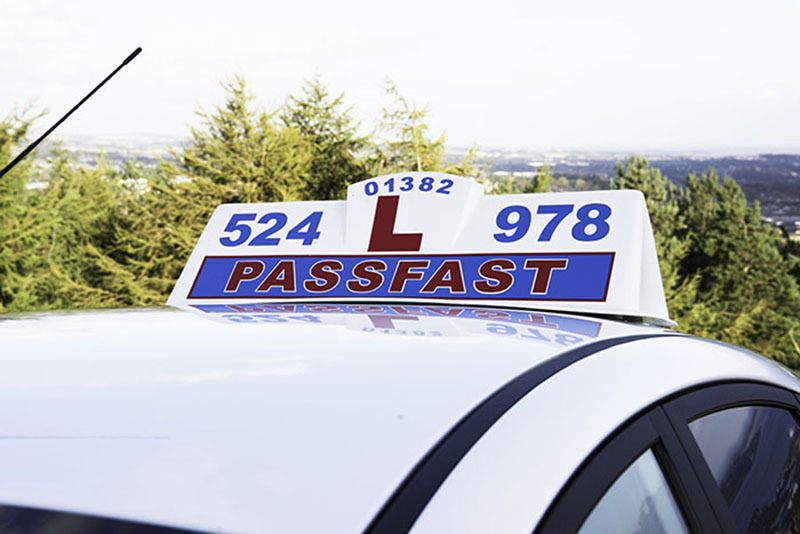 Passfast® Intensive Driving Courses or "crash" courses as they are sometimes known, are the most efficient and cost effective method of learning to drive and pass your driving test in the shortest time possible. Our range of courses comes with or without the driving test and we will arrange your timetable subject to availability to suit your own preferences. We get feedback continually from our many enquiries and clients who have previously been taking weekly driving lessons for what seems like forever and don't seem to be making any progress. They are losing confidence and would just like to get the job done in the shortest time possible. The purpose of our intensive driving courses is to provide a solution for this common problem. One of the many advantages of an intensive driving course is that you will learn to drive over a much shorter period of time with continual assessment and advice and there is less chance of forgetting what you have learned. Your progress will be much faster as you are behind the wheel for more sustained periods and therefore become more confident in dealing with constantly changing situations. Your assessment of the road and traffic conditions and mechanical skills will develop faster due to more "hands on" experience and this can only result in you becoming a more proficient driver. The Driving Test is changing from 4 December 2017. Changes include following directions from a sat nav and roadsigns, changes to manoeuvres, 'show me, tell' questions and more. This website will help you learn what the changes are and as a consequence will result in you being more prepared when you sit your test and therefore more likely to pass first time. What to do if there's bad weather like snow, ice, fog or flooding on the day of your driving test. More about cancelled driving tests...Driving tests aren’t carried out in dangerous weather conditions, such as when the roads are icy or if there’s flooding, thick fog or high winds. Call us on our office phone +44(0)1382 524978 or our out of office mobile +44(0)7515255444 if there are any of these conditions on the day of your test. The phone number for the test centre is on your booking confirmation email. If you require further information or wish to book a Trial Assessment Lesson or an Intensive Course we will be happy to speak to you. We can be contacted at our office +44(0)1382 524978 or the out of office mobile +44 7515255444 Thank you.